Precast concrete furniture is inherently resistant to theft and vandalism. Requiring very little maintenance these concrete picnic tables with steel reinforced construction are built for permanence. 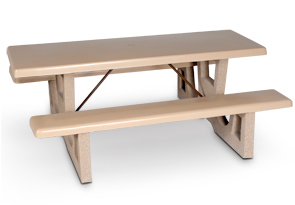 Tops and seats come in a smooth finish while the legs come in a variety of aggregate and LSB textured finishes. 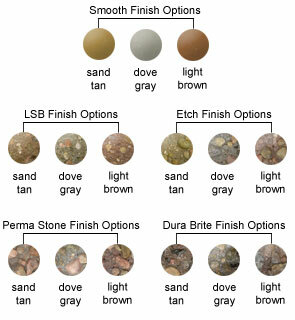 Color options are available as shown.